Let’s be honest; trying to find a job is scary. 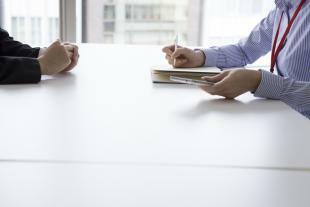 The thought of an interview alone is enough to make millions of people around the world break into a cold sweat. In addition to the intimidating screening and interviewing process, people often doubt whether they have the qualifications to succeed at a potential job. Companies preach that prospective employees must have the necessary KSA’s– knowledge, skills and abilities– to be successful. Knowledge is defined loosely as a general body of knowledge. Skill is defined as an observable competence of an act. Ability is defined as the competence in displaying a certain behavior. However, the last thing a prospective employee should do is doubt themselves. Knowledge, skills, and abilities can all be acquired; enter elearning. Job-seekers have countless resources at their disposal, and utilizing elearning services like OpenSesame can give them a competitive advantage over their peers. Building a varied and detailed knowledge base is very important to being a competent applicant. Often times, extreme proficiency in areas isn’t essential. If a prospective employee can demonstrate a wide breadth of knowledge in topics that are both directly related and tangential to a job, it shows that he or she is willing to take initiative and be flexible. As an example, consider a prospective product developer. She or he may have great technical skills, but it’s very likely that her or his competitors do as well. However, if the prospective employee also has knowledge about the sales cycle, and can put herself or himself into the figurative shoes of the customer, she or he is a much more attractive candidate to the employer. Having superior skills is different from abilities and knowledge, simply because it’s easier to create tangible pieces of work using a skill. Depending on the job field, companies consider proficiency in different applications as central, necessary skills. Arguably, the most commonly used and easily marketable application- based skill is Excel. OpenSesame hosts hundreds of courses directly related to increasing Excel skills, and completing such a course is sure to legitimize a resume in the eyes of job recruiters. At face value, abilities may seem like they’re impossible to develop. But they only seem innate. Some people may be more naturally inclined towards certain abilities, but they can just as easily be developed. A timeless ability that is universally searched for by employers is the ability to persevere, especially in the face of adversity. In general, having a flexible attitude, being able to cooperate/work in groups, and having the ability to problem solve are extremely sought after (according to Forbes). Knowing the nuances of the mentioned abilities will help separate prospective employees from the pack. A prospective employee should not be deterred from pursuing his or her dream job simply because he or she doesn’t meet all of the KSAs listed in the job description. With time, knowledge can be acquired, skills can be learned, and abilities can developed. eLearning services like OpenSesame can help prospective employees strengthen their professional profiles and land elusive dream jobs, as long as they utilize their resources and believe in themselves!